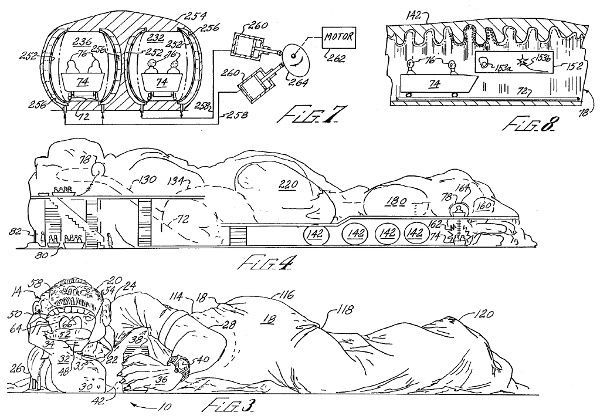 An educational amusement apparatus forms a large building structure having an external appearance simulating a man and a woman resting partially under a blanket, wherein riders are taken through a succession of cavities that simulate internal organs of the man and woman. Entrance to a head chamber simulating an oral cavity is achieved by a stairway supported by a simulated arm of the man, the oral cavity having displays of teeth in normal and abnormal conditions, and serving as a staging area for a train to carry the riders. 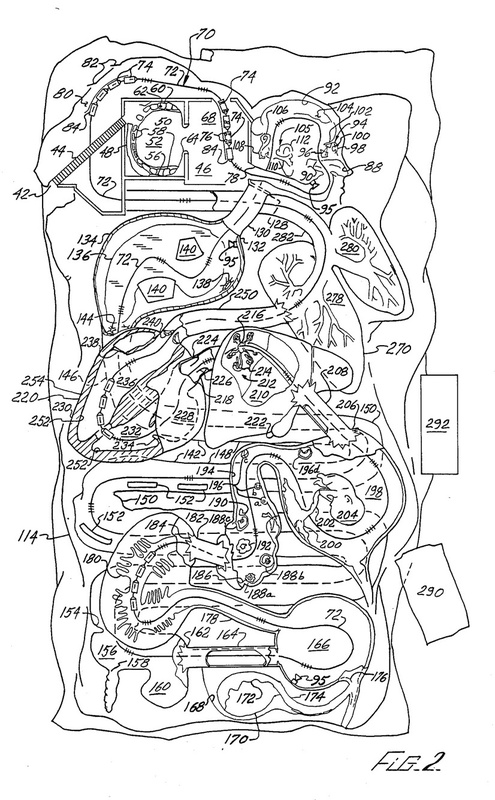 The train passes into a simulated cranial cavity of the woman, past a sectional display of simulated ear organs, and into a body portion of the building that is representative of the abdomen of both the man and the woman, first through a simulated esophagus, stomach, and intestine of an alimentary canal, through simulated urinary and reproductive tracts, then through a simulated liver and a simulated cardiovascular canal, and finally through a simulated lung and windpipe to an exit staging area of the building.